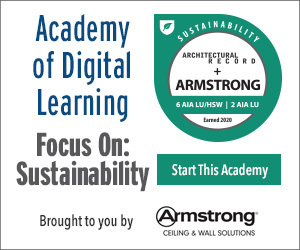 Discuss the drive toward Net Zero Energy buildings. Identify standards related to building power distribution. Understand how modular approaches to energy and interiors can be integrated for more flexible, effective spaces. Implement design strategies for different types of spaces. This seminar provides insight into the trend toward net zero energy buildings and its impact on your design strategies. An overview of industry goals and standards related to energy use in buildings is provided and applied to existing buildings as well as new construction. Non-technical descriptions of hybrid powered buildings and direct-current (DC) power distribution are covered along with review of client needs ranging from reconfiguration flexibility to integration of renewable energy sources. The supplemental reading material is required as part of the course content.